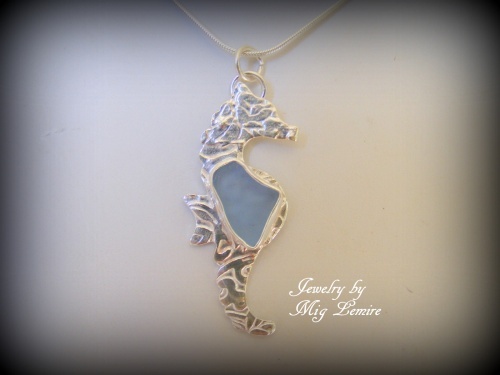 This fun little seahorse has a beautiful piece of authentic cornflower blue seaglass. Seahorse has a printed background to give it more texture. Measure 1 1/2" long anad 3/4" wide. Comes with a sterling silver snake chain.